Los Angeles, March 17 (CNA) The Formosan Association for Public Affairs (FAPA), a Washington-based pro-Taiwan independence group, on Sunday lambasted Taipei Mayor Ko Wen-je (柯文哲) for revealing a planned private visit to FAPA headquarters. In a statement issued Sunday, FAPA President Mike Kuo (郭正光) slammed Ko for breaking what he said was a promise not to disclose the FAPA visit for personal political gain, causing controversy within FAPA and misunderstanding among supporters of Taiwan. Kuo said that a Taipei City government secretary and former FAPA member called him after returning to Taiwan in January, expressing hope that it would be possible for Ko to visit FAPA headquarters during his trip to Washington in March. As Ko has been involved in a number of controversies, several of which have angered FAPA, Kuo attached several conditions to any visit, including defining it as private with no media coverage and no announcement, indicating that if reporters turned up it would be canceled. 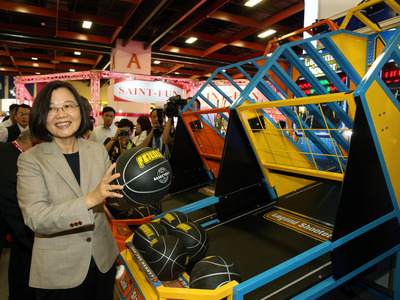 However, when asked during a radio interview on Friday about a statement by the Taiwanese Association of America that it would not welcome Ko during his U.S. visit due to his pro-China stance, the mayor said his office was in touch with FAPA which he preferred to visit. According to Ko, FAPA had agreed to a visit but insisted it not be made public because of recent controversies. Kuo said he has instructed FAPA office staff not to allow Ko into the building and not to give media interviews, adding "I personally feel regret and sad" for Ko and his aides who do not respect others and broke their promise. The matter has negatively impacted FAPA, Kuo noted, adding that he will subject himself to punitive action after hosting a banquet to mark the 40th anniversary of the Taiwan Relations Act in Taipei March 30. Ken Wu (吳兆峯), the president of FAPA's Los Angeles Chapter, said that despite most FAPA members' opposition to Ko, Kuo went out of his way to arrange a private visit for the mayor based on their friendship and was surprised that Ko discussed the matter with the media. A private visit may have not been acceptable to Ko, Wu said. Ko arrived in New York Saturday on the first leg of his week-long U.S. trip, which will also take him to Washington D.C., Atlanta and Boston.